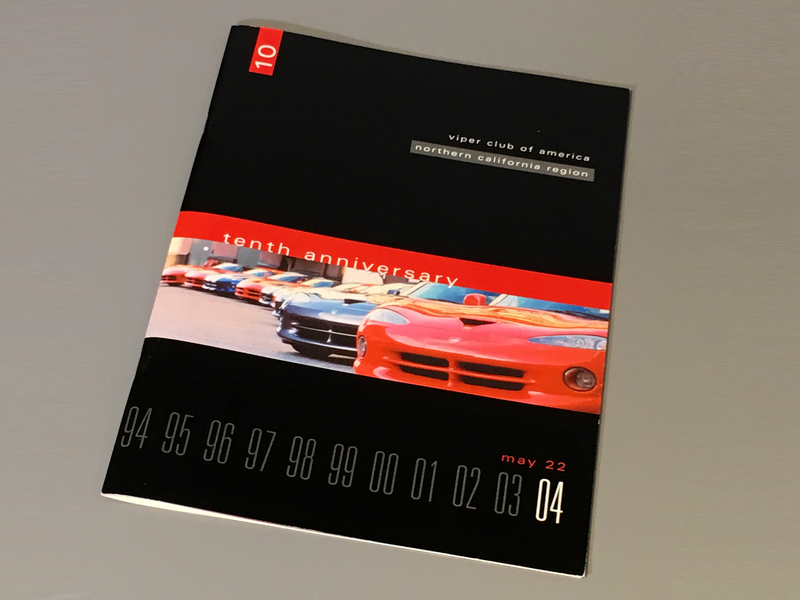 PROJECT GOAL: To create a brochure commemorating the 10 year anniversary of a car club. 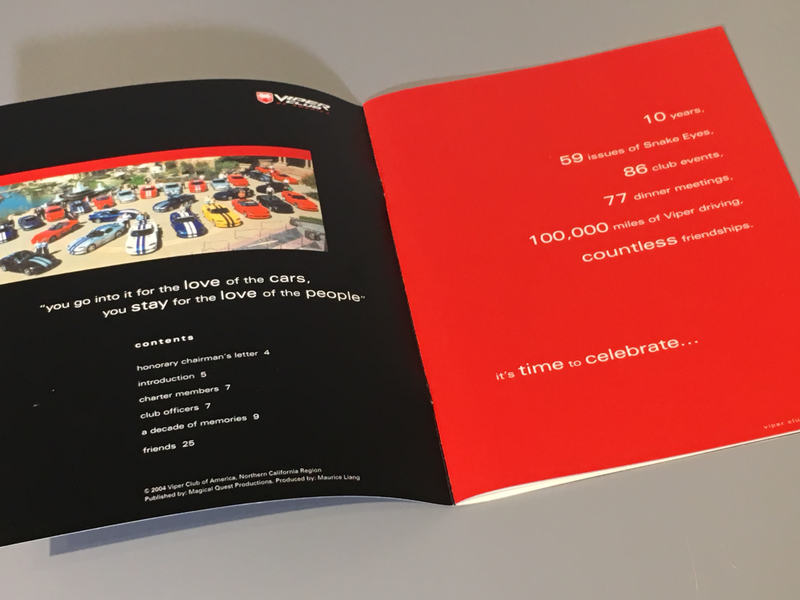 When this car club turned 10 years old, they asked me to create a brochure for them that commemorated the years of fun with friends and Vipers. 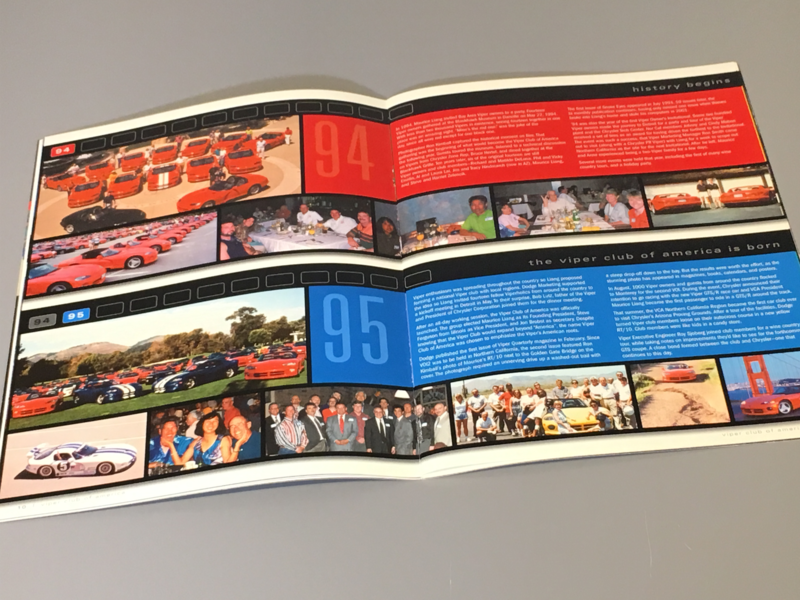 I created a very clean and elegant cover, with a “filmstrip” motif inside. I remembered taking photos with my friends in those photo booths at the mall, so I thought it would be a great way to get all those images in and not look too busy.